Welcome to Kasugai City. The following information has been compiled to make your stay in Kasugai more pleasant and comfortable. We hope you find this information helpful. 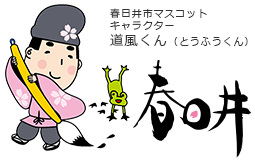 Kasugai City " The Town of Calligraphy "
Copyright by Kasugai City All Rights Reserved.